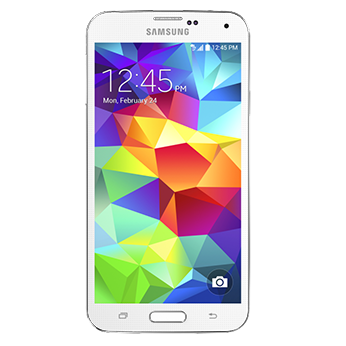 Verizon's Galaxy S5 pre-order is now available, and the Big Red really wants you to buy one. It's willing to sell you Samsung's latest flagship for $249.99 with a two-year activation and throw in a $50 mail-in rebate debit card. 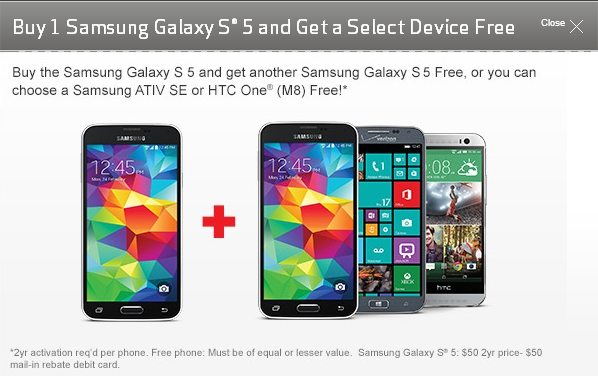 What makes this offer worthwhile is a complementary buy-one-get-one free deal that will not only include a free Galaxy S5 on the house, but an HTC One M8, HTC One M7, or Galaxy S4 instead if you would rather mix and match (or a Samsung ATIV SE if, for whatever reason, you'd rather walk out with a free Windows phone instead). 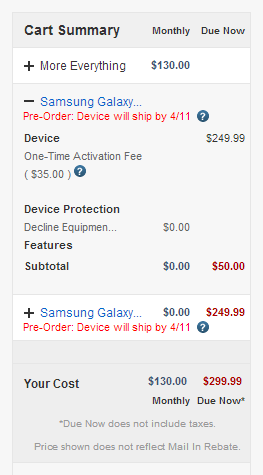 If you want a second Galaxy S5, it isn't actually free. The carrier will still charge you $50, then send out the mail-in rebate debit card as compensation. As a consolation, though, it looks like the VERIZON30 promo code that applied for the HTC One M8 will still apply here, saving you an additional 30% on top of the free phone. Update: Despite showing me the "valid promotional code" message, it appears the 30% savings isn't actually going through. The two two-year contracts will still cost quite a bit of money, but this is nevertheless a good deal for people who plan on sticking with Verizon regardless.